If It Isn’t Documented, It Didn’t Happen " "
Reliable and quick documention isn't some dusty chore that wealth managers treat as such, but a core part of the job and increasingly challenging as communication channels proliferate. A practitioner in the space explains what's at stake. Increasingly, meetings and business exchanges that are not recorded robustly are invisible as far as any subsequent actions and claims are concerned. This is a sobering thought for wealth managers. As private client professionals and wealth managers know only too well, keeping track of discussions held in meetings is not just about convenience but necessary to comply with all manner of rules, as well as to provide evidence if matters go wrong or there is a dispute about what might have beeen agreed. Note taking during meetings (as the editor of this news service certainly agrees) is not always easy to do. With RMs and others often working out of an office environment, there is a need to get documentation arranged as tightly as possible. A transcription company operating in this space, Copytalk, is in an interesting place to discuss these issues. Its chief executive, Maree Moscati, discusses the reasons for why the a business exists, why these services are important, and what the future holds. If a meeting occurs and no transcription is made, did the meeting really happen? Failing to thoroughly document meetings, phone calls, and other interactions puts professionals on dangerous ground. I say this not just as the CEO of Copytalk – a transcription company serving top financial firms and other high-stakes enterprises whose demands for accuracy, efficiency, privacy, and security set the gold standard in transcription. I say it as a transcription-company CEO who is also a Certified Third-Party Risk Professional (CTPRP) – an accreditation that is to Risk Management what CPA certification is to accounting. 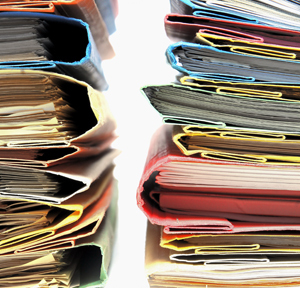 But documentation is about more than just meeting regulatory requirements, vital though they are. Transcriptions don’t just document events; they memorialize them. Consider the lessons of Enron: Beware of excessive leverage, be scrupulous about assessing counterparty risk, and hold management to the highest standards of integrity. For future generations of business leaders, attorneys, regulators and others, these lessons live on in transcripts of the trial. Today, precise memorialization of phone calls and meetings is not just about keeping professionals compliant with regulations; it’s also about earning the confidence of clients. After all, what client wants to continue a conversation with her adviser, lawyer, accountant, or doctor approximately where it left off? She wants to pick up the conversation exactly where it left off, if only to know that her provider was paying close attention. Crops are so 20th Century. Google organizes the world’s information. Since much of it exists in audio-visual form, the world now relies on transcription more than ever. Think about the financial advisor or wealth manager who targets a high net worth prospect; a senior executive, for example, whose interviews, keynotes, and conference appearances dot YouTube. For advisers looking to cultivate a relationship with this leader, and countless others like him, there’s gold in these videos: insights into what she does, how he thinks, what her priorities are, what he does in his free time – all potential “ports” for making a connection. Now imagine these advisors sitting in their offices searching videos for valuable insights. If you’ve done this – and most people have – you know how maddeningly inefficient it is to have to watch a 20-minute video just to mine a 10-second nugget of useful information. If only they knew that best-in-class transcription renders this work archaic! With features like speaker identification, time-stamping, and content research, the best transcription services today allow search engines to show where in the video actions occur, or words are spoken that are of interest to viewers. And why? To enable financial advisors, wealth managers, and other professionals to harvest the data and insights needed to operate more effectively, be more efficient with their time, and grow their businesses. Each day offers fresh sources of vital data and insights: new meetings and phone calls, interviews and chats, keynotes and conference sessions – many of them rife with intelligence capable of driving business. But if they aren’t documented, they didn’t happen. Maree is the CEO of Copytalk. A holder of FINRA Series 24, 7 & 63 licenses, Maree spent 30 years in the financial services industry – first as a financial planner, then coaching others to similar gains as a regional sales manager and later as a president and CEO in wealth management and trust services. She is the 2018 recipient of the prestigious Lifetime Achievement Award from the Bank Insurance and Securities Association. Maree is a graduate of Laboratory Institute in New York City and completed all certified financial planner courses at Florida State University. She also carries the coveted Shared Assessments Certified Third Party Risk Professional (CTPRP) Certification.